Not that long ago, I was pickpocketed on the subway in Barcelona. I was exhausted after a long day of sightseeing packed into crowded subway car when a woman, who, by the way, desperately needed a bath, leaned up against me, unzipped my pretty silver handbag and took my change purse. I admit I might also have been a bit of a target with the silver bag but this got me thinking about what kind of purse to carry on my trips to Europe and especially while I am in Paris. How does one find a bag that balances style with practicality and safety when one is travelling? I find it a struggle. The last thing I would have considered was a fanny pack. 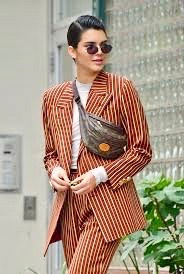 The fanny pack was soooo 80’s and while certainly practical back then, does anyone remember this look as being particularly stylish or attractive? Thirty years later the fanny pack, called the “bum pack” in the UK, and “le sac banane|banana sack” or just “banane” in France, is making a comeback. And this time, in Paris, anyway, it has been elevated and trying for high fashion! 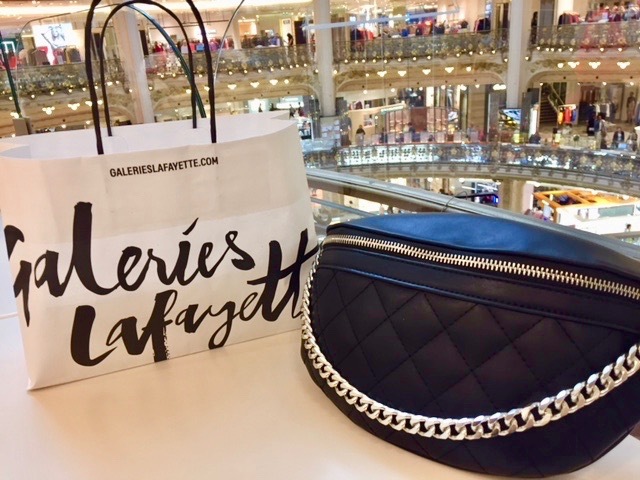 These are a little over the top for me but I did find one more suitable to my needs — it’s simple but elegant in quilted black leather with a silver chain, which I wore this day to Galleries Lafayette. My first fashion compliment from a French woman! I was delightedly dumbstruck. AND if I was worried about pick pockets, a popular way to wear the new fanny pack is across the chest over one shoulder. This appeals to me. Because if anyone tried to reach into my new little purse strapped to that part of my body, they would likely get an involuntary slap across the face. Although I do hope the woman who robbed me in Barcelona put that money to good use. She looked like she really needed it. What is your preferred travel purse? My daughter and I read a blog yesterday about the 5 hottest accessories for Spring. The 2 that stood out for us were fanny packs and chunky white sneakers. It seems every 80-something woman will be in style this Spring! We were having trouble getting on board with these trends, but who knows, I could end up with one or both of them (even before I’m 80!). Now you have me curious Kelly — I want to know what the other 3 other hottest accessories were??? The other 3 were statement earrings, baker boy caps and oversized jewelry (which seemed a lot like statement earrings to us). Each blogger has a different opinion so we decided our takeaways for the season were the statement earrings and silky floral tees, which we saw on another site. 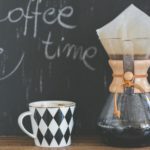 Enjoy your blog! 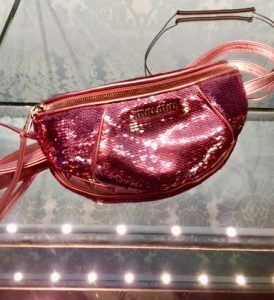 I’ve been saying for YEARS that I wished someone would bring back the fanny pack but make it pretty, that it was so practical but FUGLY! So for years, for travel, I have been carrying a fun, lime green cross body bag with many zippers inside and I’ve zipped my wallet inside the zipped bag and been fine….but it’s starting to look….um….well traveled and past its prime! 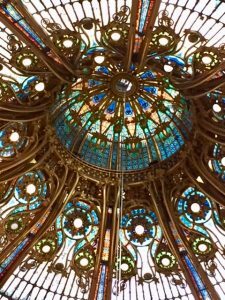 So, when we went to Paris last month, I couldn’t possibly wear that ratty old thing! So I bought a deep, black leather cross body bag that I wore on the front of my body and NEVER took my hand off it when we were in a crowded space. But I’m thrilled to finally see decent looking fanny packs, and I’ll be looking for one, or more, for future travel! Thanks! My travelpurse is the same purse I use in Toronto. It is a red leather crossover with three zipped sections and a inner zipped section! I keep it in front of me , often with my left hand on it . I like the idea of the purses that cannot be cut as well . I have a computer bag of that material , but now with cell phones do not use it . I think using a purse you are comfortable with is important , use it around home before you travel too. Thank you so much for this comment. Red Leather — that sounds gorgeous. I agree that it must be comfortable as well as practical to carry around. This last comment was just what I was thinking…fanny pack is fine but someone could cut through the strap. I was recently in a local Mississauga luggage shop and they had a variety of bags/purses that had straps that they said were uncuttable. I think it said that there were metal threads in the straps? We just returned from Europe and I used a small cross body purse and kept my hand on it for the most part. At home I use a much larger purse. Reading some of the other comments, it sounds like you can buy a fanny pack that is made with material that cannot be cut. May not be as an elegant an option though! Back I. The 70,s…80s I always wore a fanny pack EVERYWHERE… I had several……floral, leather.sparkley ones……..but …sigh…..my figure is such now that I would look like your picture of “ what not to wear”. So, . Off with the fanny, on with the cross over the shoulder……Elegant or fun, but definitely easy, practical and safe. 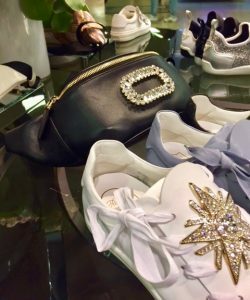 You can definitely add a sparkly fanny pack to your wardrobe for your next trip to Paris! Visiting Paris for the first (and so far only time) in August 2012 my husband and I wore our ‘bum bags’ – as they were called here in the UK – across our fronts. Obviously we looked far too ‘touristy’! At one point as we were crossing a bridge we were accosted by a group of children supposedly asking for signatures for a petition. They surrounded us, pushing the papers for the signatures at us. I pushed them away only to find that one child had managed to unzip my bum bag/fanny pack and was trying to extract my purse. Luckily my purse was a tight fit in my bag and the child hadn’t been able to get at it. When we got to the other side of the bridge we saw signs warning about these child gangs. Such a disappointing experience in such a lovely place. 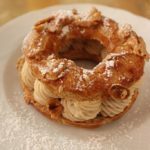 We have been visiting France since the late 70s, usually camping and motorhoming, and have had some great experiences finding out of the way places and enjoying meals where the locals eat. Although we enjoyed our visit to Paris if we go again we’ll try to avoid the busier tourist times to see if we can find the real Paris without the unpleasantnesses. I do remember those days. I think Sixty Minutes on CBS even doing a report about the children. That would also be very unnerving. They have cleaned that problem up but pickpockets are still prevalent in all the European tourist cities. 80s Fashion, oh how much I love this era! I remember going weekly to Canada’s Wonderland with friends and our Fanny’s. As kids during that time we could be dropped off in the am before our hard-working parents went off to work, then to have another parent when done the workday pick us up, usually 3 pm or 4 pm, enjoying a full day of riding the rollercoasters. We were given specific rules on safety and boy did we listen, we had to or else. It gave us a bit of freedom and responsibility. Not 5 years old more like 11-16 yrs oldish. Oh, the freedom, though at that point in time we all wore the Fanny packs and looked out for one another. The fanny had a great safety feature for us and the 80s adults, our parents felt all the better because of it. Later, when it went out of fashion, on a rollercoaster -didn’t I lose my cash for the day, suspended upside down in the air, maybe on the skyscraper? With my then stylish red bandana and my $30.00 for potato skins and falafels flew to the ground. I think watching my money and bandana make its way to the ground probably 30 ft down or so, scared me more than then hanging upside down for 5 seconds before jolting forward. Fannies went out of fashion and as 80s kids and the adults of the 80s most became “way” to cool to be better safe than sorry. So glad that Paris took it on themselves to bring back this safety feature, with functionality with their expertise in everything that is in a wiser fashion. Who knew the Fanny would make a comeback if anyone could do this, only Paris could. 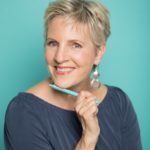 Love your blogs, tres chic! Oh, I remember the fanny pack. Later, when it went out of fashion, on a rollercoaster -didn’t I lose my cash for the day, suspended upside down in the air, maybe on the skyscraper? Watching my money and red hair bandana floating gently to the ground probably 30 ft down or so? Scared me more than then hanging upside down for 5 seconds before jolting forward. So glad that Paris took it on themselves to bring back this safety feature, with the functionality alone, their expertise in everything that is in a wiser fashion. Who knew the Fanny would make a comeback if anyone could do this, only Paris could. 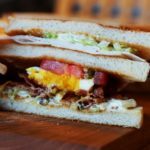 Love your blogs, tres chic! I can not wait for Spring Fanny’s. Kelly, I read your comment above, great to know. Will have to look up bakers boy caps, sounds interesting. Always love to hear from you Tamara! I have an MZ Wallace black nylon cross-body bag that I’ve had for years and is perfect for travel. It has zillions of zippered pockets inside and out so it would take a pick-pocket the better part of a day to locate my goodies. I wear it over my stomach so I’m hands-free and have lots of room for tissues, lipgloss, water bottle, small umbrella, sunglasses, etc. Love it. Sadly, I was pick-pocketed on a crowded metro car in Paris in January of this year. We were stuffed into the car and I could not keep my hand on my purse because I had to hang onto the roof strap. A few well dressed teenage girls unzipped my shoulder bag and removed my wallet. They did the same to another local woman (around my age, easy marks!). They said they felt sick and wanted off the car. As they exited, two undercover police officers grabbed them and stopped the train, removing the cash from their well-manicured hands. The officers called into the car to see who had been robbed, asked the two victims (us) to accompany them to the police station, which was conveniently located at the metro station. We got our money back, whaddayaknow! How many people do you know get robbed, then get a refund? 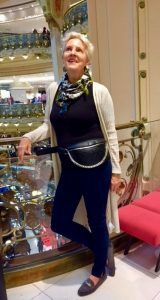 As far as a fanny pack being safe from pickpockets, I do not think it would have helped me as I had to have my hands above my head to hang on, and in such a dense crowd, it was easy to unzip a purse of any kind. 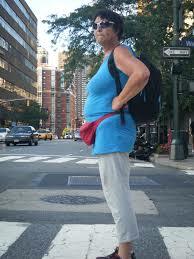 My plan for future travel is to keep cash in my money belt under my clothes and only in small amounts. I will put my passport or larger amounts of cash in the hotel safe. I will keep a credit card and metro pass, etc in the purse, as they are easily cancelled. What a story Susan! Yes, having to hold on in the metro can be challenging. These thieves are masters of their trade but they got caught! Hooray! Thanks for sharing this story! So informative about safe travels. I wonder if there is anyone who sells, possibly tiny lock and keys for travel purses that can be purchased for these purses, bags or fashion trending fanny’s. Maybe one made out of cute details, with a gem that matches? Then if someone is possibly on the radar to pickpocket- a lock and key would secure the bags. Of course, it would need to be fashionable and cute! 🙂 If from Paris. I don’t know if anyone makes these, of course throughout my travels, we use lock and key for our luggage boarding planes, similar to that while touring would be less intimidating and more free to hold on tight going on the metro’s/subways/busses. Or just plain ol’ lock and keys? Something I would like if travelling. I wonder if anyone sells these separately from luggage. I haven’t travelled in a few years, not sure if these are in stores anywhere? Well, a lock might slow down an honest thief, but it would be useless to stop a purse snatcher. BTW, we witnessed a young man stealing a purse off the shoulder of a woman in Prague, just outside our hotel window. Her athletic male buddies ran after him and got her bag back! Very entertaining! Another disadvantage to locking your purse is that it would be a gigantic pain in the neck. You will be required to open it to show the contents to security at all museums, galleries, attractions and major department stores, and you will be into it often for your personal items. After a while, you will not want to bother locking it. Just a thought! It is tricky no matter what right? Best thing to do is not carry any money around. your credit card anyway but you won’t be able to get a new one until you get home. Happy Travels! Good to know, I can see that. Like your blog a lot and the fanny pack comments. I just bought a plain black satin-ish one on sale from urban outfitters in Honolulu end of winter sale. It does look like a banana. I would like to make a trip to France in the next few months because I haven’t traveled there in over 45 years! Things have changed. I appreciate all the helpful hints for ladies of a certain age! Thanks so much for your comment. 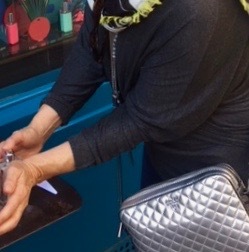 I see that you are not a full subscriber to my blog so I have added you to the list –this way you have been automatically entered to WIN the beautiful silk scarf in today’s blog post. If when you receive the next blog post next Sunday in your inbox, you decide you no longer want to be a subscriber, just follow the instructions about how to Unsubscribe. But I hope you won’t! 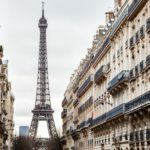 I love growing this community of women who love Paris and all things French!